1. A Nespresso Vertuo coffee and espresso machine with a milk frother, because you drink coffee every day — might as well drink the best tasting, most luxurious cup of joe there is, right? Get it from Amazon for $193.13 (available in five colors). 2. An Instant Pot which is a pressure cooker, rice cooker, sauté, steamer, cake maker, and warmer all in one, for the chef who doesn't actually want to do a whole lot of cooking. This will save you tons of money on ordering out, because it'll be so easy to cook right at home! Did I mention it has over 22,000 five-star reviews?! 3. An AeroGarden for your countertop, because some of us do NOT have a green thumb but still love to cook with fresh herbs. A greenhouse for your kitchen, the future is now and look how yummy it is! It features LED grow lights, plus a system that reminds you when it's time to feed and water the plants! Herbs include: Genovese basil, curly parsley, dill, mint, thyme, Thai basil and Miracle-Gro plant food. Get it from BuzzFeed's Goodful line, exclusively at Macy's for $89 (originally $189.99). 4. An air fryer with seven-built in programs for perfectly cooked fries, wings, and so much more with little or *no* oil. Get it from Amazon for $73.72 (available in eight sizes). 5. A 14" pre-seasoned cast iron wok with a flattened bottom for all the stir fry and sautees you've been wanting to make but order in instead. 6. A stainless-steel dish warming tray so you can be like the professionals and keep your various dishes warm while still prepping the final touches. Or to keep dishes warm on the table for longer events. 7. A Cuisinart GR-5B Griddler with LCD display, temperatures from 175–450 degrees, plus removable and reversible dishwasher-safe cooking plates so you can make the best damn panini of your life, and about 1,000 other amazing dishes! Get it from Amazon for $79.96 (available in five sizes). 8. A recycler/trash can combo so you can finally be a better person and handle the recycling correctly. This trashcan has a 10-year warranty and a patented lid shox technology that slowly and silently closes the top! Get it from Amazon for $199.99 (available in four sizes). 9. A Le Creuset Dutch Oven that'll withstand temperatures up to 500ºF and last for generations and generations! 10. A George Foreman grill with interchangeable grill and waffle plates so you can have the best of both worlds with half the storage space! Get it from Amazon for $80.93 (available in three colors). 11. A carbonation maker for any soda lovers out there who are tired of buying 24-packs that disappear in a week. Get it from Amazon for $99.84 (available in three colors). 12. 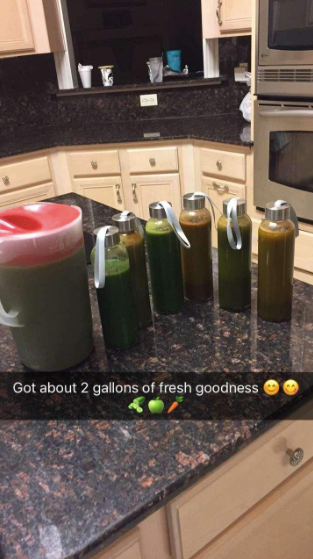 A fancy juice fountain that'll basically pay for itself if you've got a serious green juice habit. How it works: The 84 mm extra wide chute feed whole fruits and vegetables to be juiced without pre-cutting. There are also two speed levels, high speed for denser fruit and veggies and low speed for more leafy and soft ingredients. The juice jug itself is detachable and suitable to store in the fridge so you can enjoy a pitcher of fresh juice all week long. 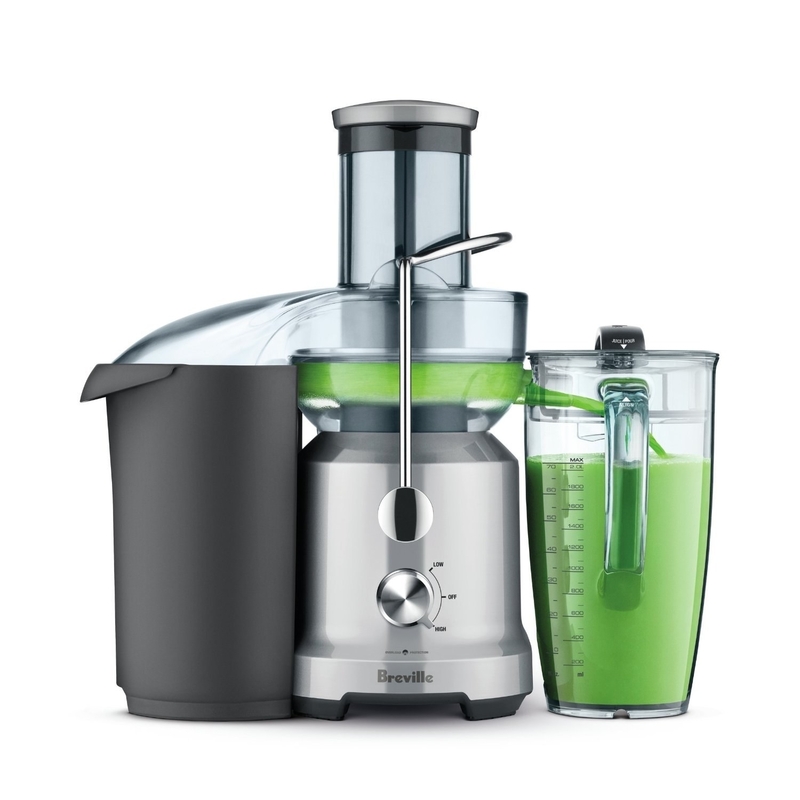 The juicer cover, stainless steel filter bowl, purée disc and juice jug are all dishwasher safe for easier clean up! Get it from Amazon for $179.95 (available in two styles). 13. A personal-size Ninja blender to blend all your favorite fruits and veggies up in on mornings when you're in a rush: it (conveniently!) mixes everything right in the cup you'll be taking with you. Get it from Amazon for $58.99 (available in two styles). 14. A FoodSaver for removing air that causes freezer burn, mold, flavor loss, and a quicker expiration date! Perfect for sealing your chips, fruits and veggies, meats, pre-prepped meals and more. Get it from Amazon for $88.75 . 15. 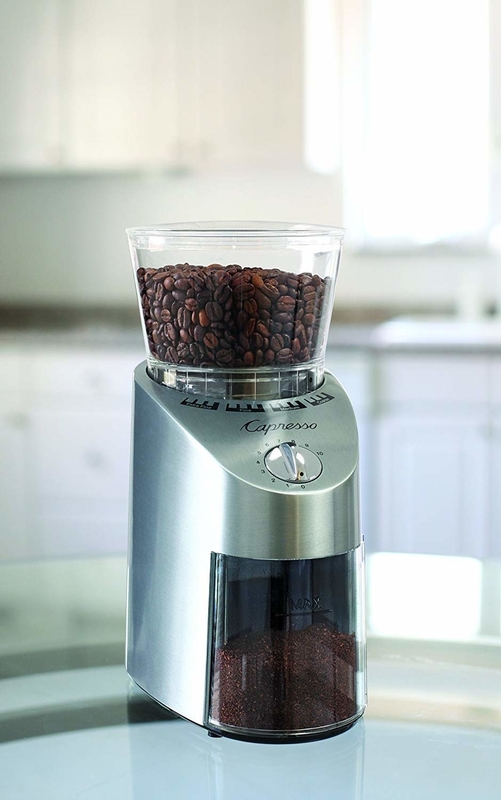 A stainless steel coffee grinder to help you brew up the perfect cup without spending any more money or time at your local (over-priced) coffee shop. 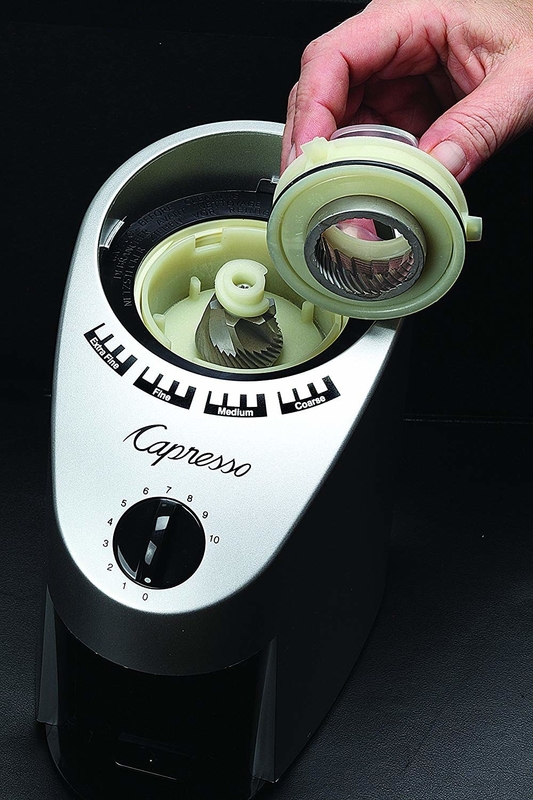 The grinder settings include extra fine, fine, regular and coarse. The conical burrs (machinery that grinds the beans) are made as precisely matched pairs and hand assembled in Switzerland! Get it from Amazon for $119.19 (available in three colors). 16. A KitchenAid Stand Mixer you'll hand down to your children, because it's just that well-built! Save money and invest in those products that will last a lifetime (or two). 17. A smokeless indoor grill to add yummy grid marks to veggies and meat year-round. BBQ at your house, mid-December! Get it from Amazon for $279.95 (available in two styles). Wow, yes, I'll take them all please.